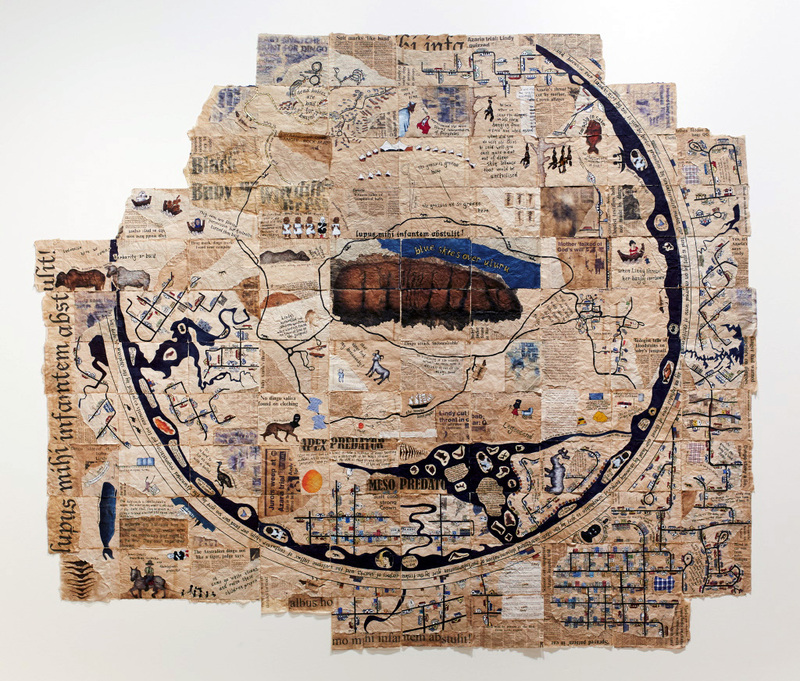 Mappa mundi: the known world emerged from my attraction to the medieval mappa mundi (world map) form, which emphasises the relationship between landscape and story. The Azaria Chamberlain case – a formative introduction to the idea of injustice and media influence – forms the natural foundation of my depicted ‘world’ view, which is grounded within an insular but increasingly global Australia. Stepping beyond sensationalist news cycles to hint at the broader philosophy of related issues, I use the anthropology of motherhood throughout Australian history to explore the character of a country who bases its identity on the natural world, but repeatedly demonstrates its disconnection from natural instinct/processes.